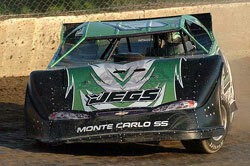 John Henry just won the 2009 UMP DIRTcar Fall Nationals at Eldora Speedway in Rossburg, Ohio. This is just the latest in a lengthy list of achievements for Henry. He has been racing since he was 12 years old, carrying on a lengthy family tradition. Both his dad and granddad competed together racing micro sprints at ADA Speedway in Ada, Ohio. Jon started out racing go-karts at Cridersville Speedway, and a year later moved up to micro sprints at Waynesfield Raceway Park. His dad by then had begun racing UMP Modifieds, and Jon never missed a single one of those races. 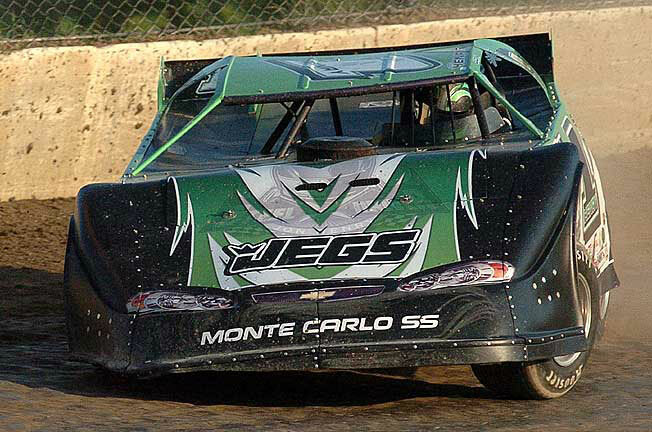 "In 2004, my dad stepped aside and started to let me race the modified," stated Henry. "I got my first win after only my fourth time in the car at Waynesfield, and continued to race Modifieds for the next several years." In 2008, Jon Henry completed 63 total races with 33 top 5 and 36 top 10 finishes. Henry's racing success has continued to climb steadily ever since. 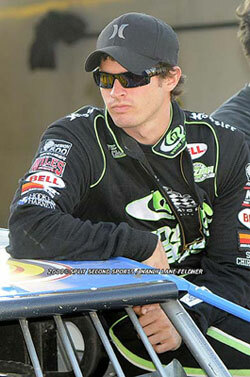 In 2007 he participated in a total of 50 races, won four, had 32 top 5's and finished 2nd ten times. He was in fact selected that year out of 16,000 applicants to appear on Spike TV's new show "Reality Racing." In 2008, he completed 63 total races with 33 top 5's and 36 top 10's. Highlights from the season include qualifying 44th fastest at the World 100 out of 175 drivers, winning his first Dirt Late Model event after only his 2nd race ever in the car, being named "Bell Racing Driver of the Month" for July, and making four out of five features at Volusia Speedway for the Dirt car Nationals. So far this year, he has continued an amazingly successful track record. He has already been in 68 races with 10 wins, 32 top 5's and 43 top 10's. He took 1st place at the Sunoco American Late Model Series (ALMS), is 7th in United Midwestern Promoters (UMP) National Points, and was named Sunoco Rookie of the Year, UMP National Rookie of the Year, Eldora Speedway Rookie of the Year, and Oakshade Raceway Rookie of the Year. Henry indeed looks to be a truly rising star in his series'. "I met with K&N at the PRI show in Orlando Florida, and have had the opportunity to partner with them ever since," says Henry. They have a proven record of success and I knew it was the best choice for our racing program. K&N provides the best air filters on the market and not only have we seen consistent results, but have complete trust in their products."